I few month ago I decided to go on developing Cryblend on a derivative project due to speed up process and a couple of issues. Finally, BCRY Exporter has been completed. BCRY Exporter is equal of CryBlend 6.0 which I would release at Q4 2016, if I had continued developing of Cryblend. I aimed to construct complete pipeline between Blender and CryEngine, with new utilities to improve robustness, comfortability, and fully documented. And now, it's almost done with BCRY 5 Exporter. You can export X-Axis bone orientations with BCRY Exporting. Now surface normals calculated based on polygon areas. You can physicalize skeleton with just one tool. New fully documented website to demostrate installing and exporting process. New tutorial videos for Blender to CryEngine exporting. - Only compatible with CryEngine 3.5 and up. - Only compatible with Blender 2.7 and up. - Supports primary assets: CGF, CGA, CHR, SKIN, ANM, I_CAF. - New Generate LODs menuitem. - New Physicalize Skeleton menuitem. - New Clear Skeleton Physics menuitem. - New Add Locator Locomotion menuitem. - New Add Primitive Mesh menuitem. - Removed Remove Old Fakebones menuitem. - New Generate Materials menuitem. - Export to Game icon is changed. - Export to Game changed to Export to CryEngine. - Timeline Editor choose for Add Animation Node window. - Edit Inverse Kinematics menuitem name changed to Set Bone Physic and IKs. - Removed Add Bone Geometry, Remove Bone Geometry, Rename Phys Bones menuitems. - X-Axis Animated Skeleton exporting. - New Physicalize Skeleton tool. - New Clear Skeleton Physics tool. - New Generate LODs tool. - New Generate Materials tool. - Color exporting for materials. - New Add Locator Locomotion tool. - New Add Primitive Mesh tool. - Geometry writing is completely adapted to BMeshes. - Input prediction for Add Export Node tool. - Vertex Colors exporting is fixed. - Calculate normals using with BMesh tessfaces. - Now smooth normals are calculated according to face areas. - Tool Shelf panel supporting for Apply Transformations tool. - SelectGameDirectory wrong folder name fixed. - Default Physic is changed to None. - Now animation nodes can be stored with skin and chr nodes. - Geometry name is rearrenged for Library Controllers. - Apply Modifiers are fixed. - Apply Modifiers, Export Selected Nodes supporting. - Multiple Cycles Texture support. - Descriptions for Set Material Physics tool. - Logs have been improved. - Bone axis, length and Tool Shelf panel supporting for Add Root Bone tool. BCRY Exporter support backward compatibility with Cryblend. So you can use it with previous blender projects (blend files). Note: Cryblend didn't support bone-orientations. So you must be consistent with character and animations pair. If you had export your skeleton with Cryblend, and now you want to export your animation with BCRY Exporter, before that, please reexport skeleton using BCRY Exporter. Note2: BCRY Exporter use a different name convention for LODs. 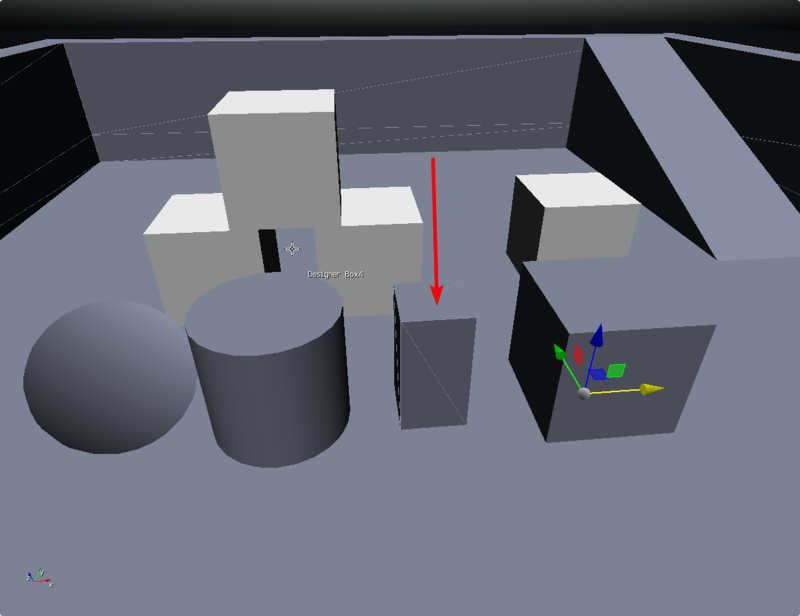 If you blender file contain LOD that had been set for CryBlend, you must read that document. If you already use CryBlend, you have to deactivate it to use BCRY Exporter, otherwise your BCRY Menu may not works correctly. Also some functions behavior is going to mix between CryBlend and BCRY Exporter. I cannot pass without to say, many thanks to all Cryblend contributors. Specially, I owe a debt of gratitude the founder of Cryblend; Angelo J. Miner. Also, I want to say many thanks the Cryblend users which encountered me to keep going developing. Lastly, I wish your make good games with using CryEngine. I'm working with it for a while and jupp it helps alot. Fast working! I revised the BCRY 5 skeleton rig and its now nearly the same to the Cryengine skeleton except the fcl bones. You can use it for you own custom skin but I got one last problem. The proxy i created works (looks different in Blender than in CE character tool) but the settings I've made like ragdoll joint limits, damping etc. dont working correct. I compare my ragdoll and joint limits in character tool with CE skeleton and it has same settings as far as I can see. I dont know what the problem is but if anybody could help me with this last problem, it would be really great. Check the blender file and I appreciate any feedback! I´ve been using this for some time now and there is one thing that needs to be improved. If you want to export objects with a higher polycount than 10k tris you can´t assign a material to it. I tried the same thing via the fbx importer and it worked there (but just with fbx and not with obj...). So please add the possibility to export meshes over 10k tris properly. I understand it´s a hard task but it would make some things a lot easier. Update: Export with over 10k tris works with skin export very well... problem solved. Thank you so much for feedback, I will be dealing with this.